Spare a thought for film-maker Frederique Olivier and her assistant Martin Passingham, who gave up a chance to go home for Christmas after almost a year in the Antarctic so that we could enjoy the most adorable documentary of the festive season. The duo were camped 60 miles from the coast, beyond the reach of any rescue plane or helicopter, surviving in blizzard conditions and temperatures as low as minus 60C. 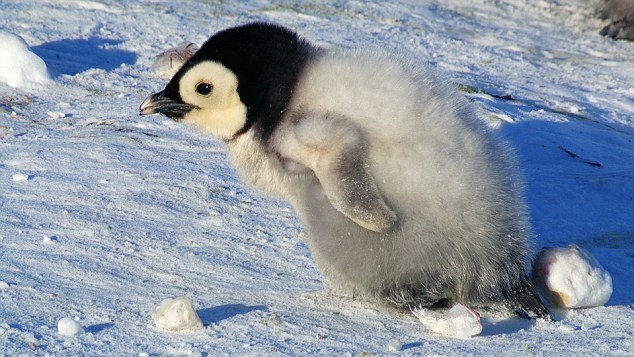 And they weren’t even allowed to get within 20 yards of their subjects: the emperor penguin breeding colony they were studying is protected by strict international law.But they had ingenious technology on their side, with cameras hidden in rocks or disguised as penguin chicks, and one operated by remote control that resembled a full-size bird, sliding about on its belly. Their aim was to document every stage of the breeding cycle for a unique programme that would eventually be broadcast as Spy In The Huddle. As they collected and studied the footage each week, though, another story began to take shape. One of the eggs hatched late, and the chick was much smaller than all the others. Frederique and Martin gave it a name — they dubbed it Snow Chick. 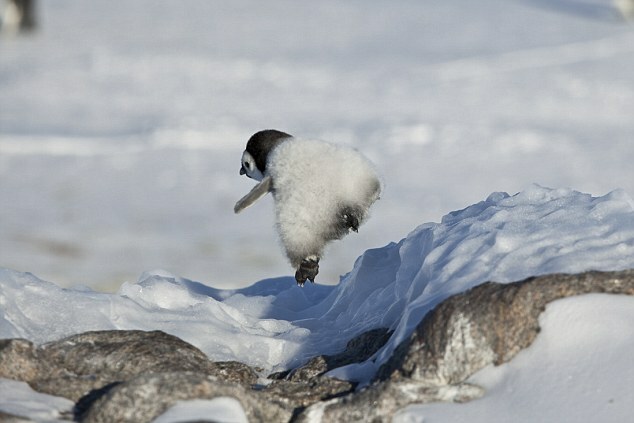 Snow Chick: Penguin's Tale (BBC 1) was a story of survival against impossible odds. But if your heart was in your mouth as you watched the chick being attacked by a killer petrel, smothered by broody females, or lost and freezing to death outside the colony, imagine how Frederique and Martin must have felt. Responses to "Wildlife tale of the year: Snow chick ventures onto the ice for the first time"